We bring you another mod in charge of add weapons to your Minecraft. Sniper Mod 1.4.7, not only adds weapons, but also allows you to use armor camouflage, although the weapons are still the main element. Among them you will find various models, from pistols to sniper rifles. To use the sniper sight simply press the “R” key. Some of these weapons are: Desert Eagle, M9 Pistol, Intervention, M4A1 CQB, Barrett 50 Cal, MP5, M40 Sniper Rifle y L96 Sniper Rifle. 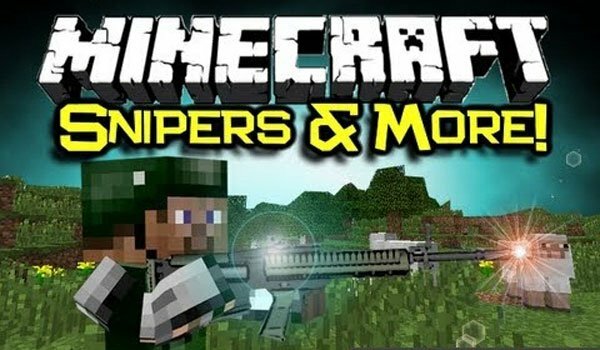 How to install Sniper Mod for Minecraft 1.4.7? Paste the contents of “Place in resources” folder in your “resources”.